DETROIT (AP) — U.S. officials are reminding travelers that it remains illegal to bring marijuana into the United States at border crossings despite the legalization of the drug in Canada. U.S. Customs and Border Protection representative Christopher Perry says the implementation of the new Canadian law on Wednesday thus far has had little effect on the flow of traffic along the border. 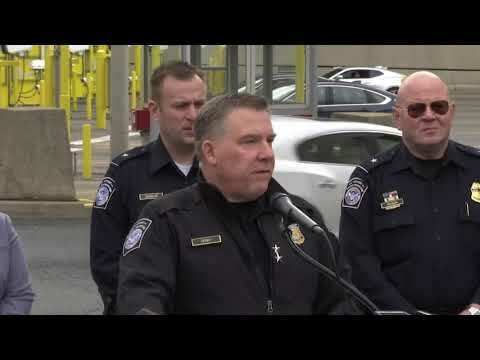 Perry, CBP’s director of field operations in Michigan, talked to reporters at the Detroit-Windsor Tunnel, which connects Detroit with Windsor, Ontario. According to Perry, U.S. border agents are asking the same kinds of questions of travelers that they did prior to the change in Canadian law, adding that agents generally will not ask routine questions about marijuana use. On Wednesday, Canada became the largest country with a legal national marijuana marketplace .